Suffice it to say that people are MAD because there is no 24/7 this January. 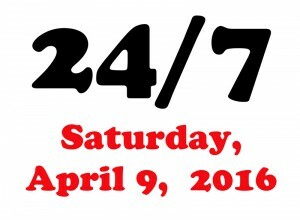 Due to winter storm Jonas, 24/7 2016 has been rescheduled for April 9th. Still same concept. Still same writers, directors, cast and crew — hopefully all — still no idea what will happen. This ain’t no April Fools Joke. See you at Live Arts on the 9th — and hopefully before.